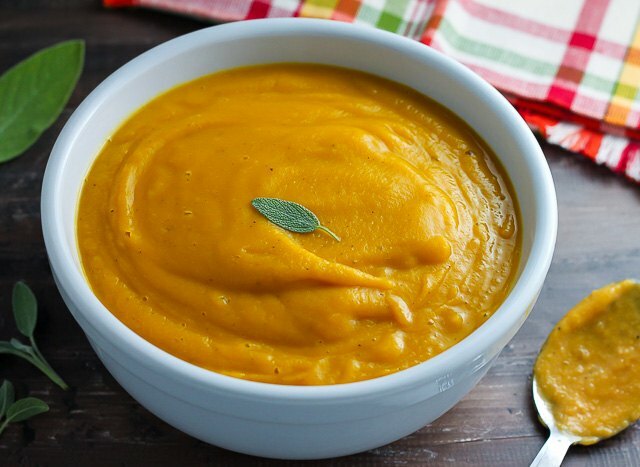 With the delightful season of fall lurking right around the corner, you might like to know how to make a creamy and comforting butternut squash soup. 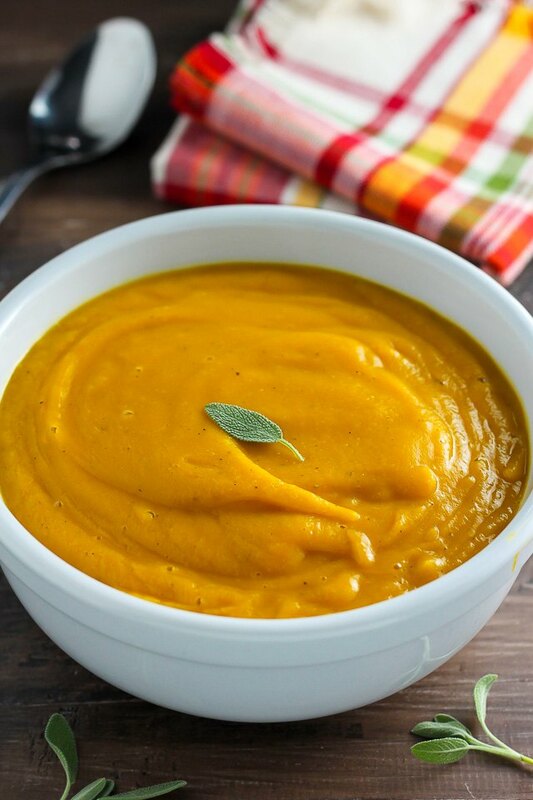 The base of this soup calls for just a few simple ingredients, and you can prepare your squash in a variety of ways: baking, roasting, steaming or using a pressure-cooker. 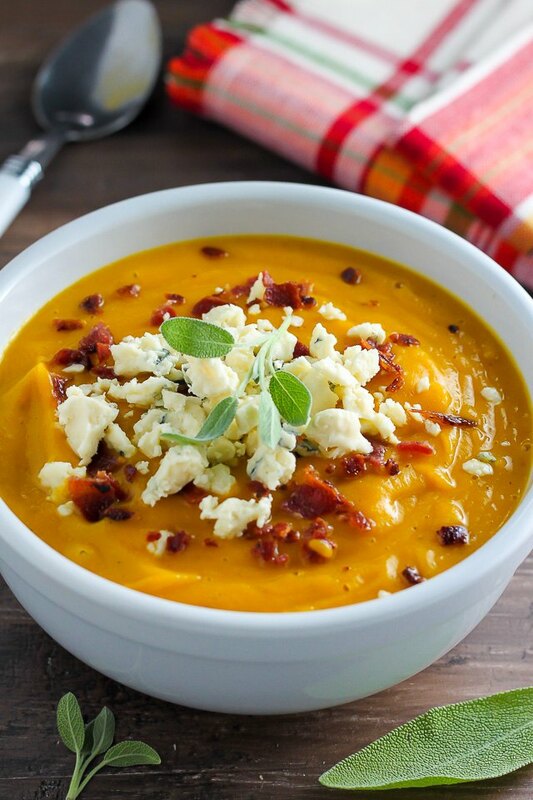 Top this soup with crumbled bacon and Gorgonzola cheese for an extra indulgent meal. 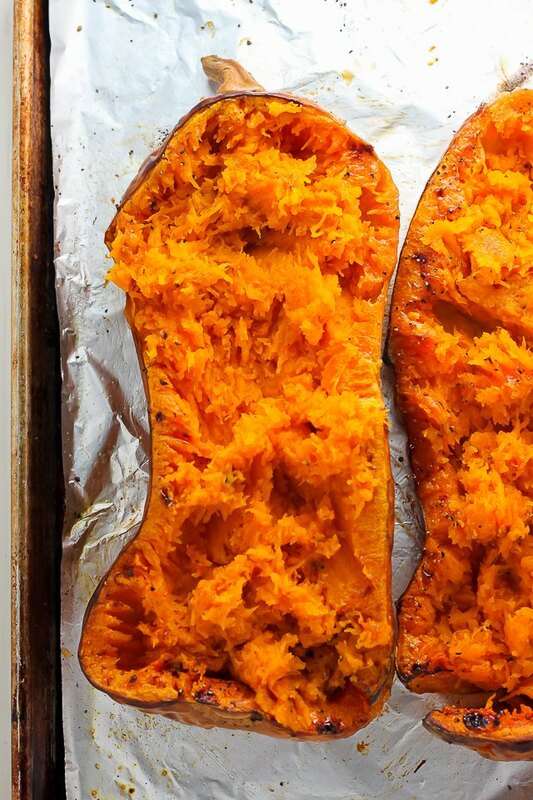 If you plan to bake or roast your squash, follow the simple tutorial within the recipe instructions. For instruction on how to steam or pressure-cook your squash, see the tip section in Step 2. Heat the oven to 425 degrees F. Line a large baking sheet with aluminum foil, and set aside. 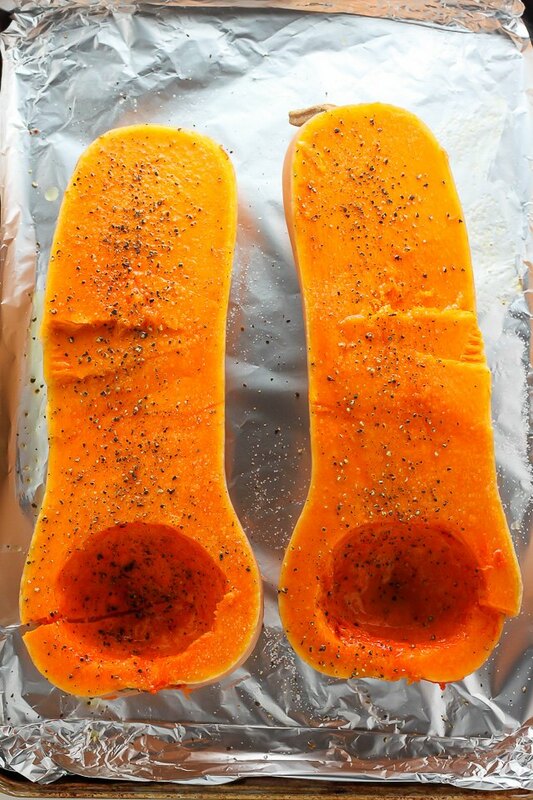 Place the butternut squash on a large cutting board. Using a sharp knife, carefully slice the squash in half vertically. Remove the seeds, and transfer the squash to the prepared baking sheet. Brush with 1 tablespoon of olive oil, and generously season with salt and pepper. Roast the squash in the preheated oven for 1 hour and 15 minutes or until it's tender enough to be easily scraped with a fork. Once cool enough to handle, scrape the squash flesh out of the shell and set aside. Steam instructions: Wash the squash, pat it dry and carefully cut off the stem end. Peel the squash with a sharp knife, slice it in half and remove the seeds and pulp using a spoon. Chop the peeled butternut squash into small cubes, and then transfer the cubes into a vegetable steamer. Steam the squash until it's easily pierced with a fork, about 8 minutes. Drain the squash, and transfer it to a large bowl. Pressure cooker instructions: Wash and peel the squash, removing the seeds and and cubing the flesh. Place the cubed squash in the pressure cooker with 1 cup of water, lock the lid into place and bring the cooker to full pressure, according to the manufacturer's instructions. Cook for 10 minutes, and then release the pressure. Strain and transfer the squash to a large bowl. Peel and dice the onion and apple. 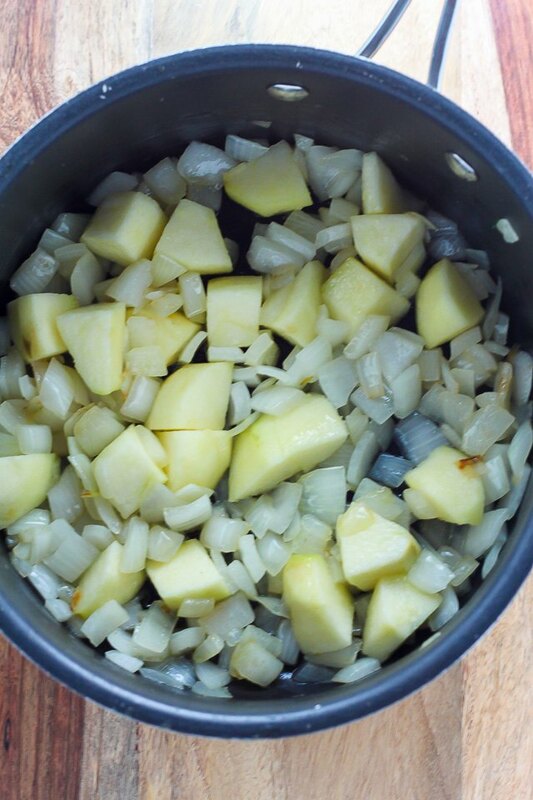 Add the remaining olive oil to a large sauté pan, and bring it to a simmer over medium heat. Add in the onion and apple. Cook, stirring occasionally, until the ingredients have softened, about 10 minutes. Add in chopped sage, vegetable stock, salt and pepper. Bring to a light boil over medium-high heat. Cook, stirring occasionally, for 15 minutes, and then add in the squash. Reduce the heat to medium. Use a wooden spoon to help break up any large pieces of squash, and continue cooking for another 25 minutes. Remove the pan from heat, letting it cool a few minutes. 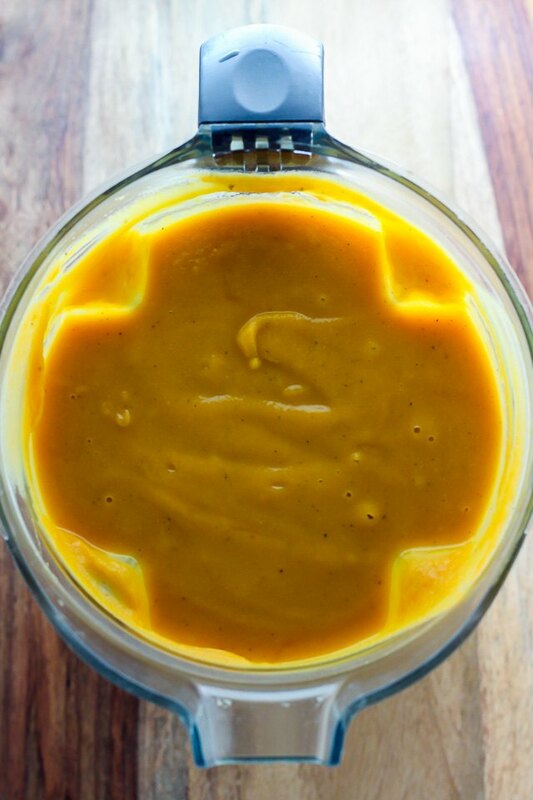 Using a blender or food processor, puree the soup in batches, pulsing until completely smooth. Remove the center cap from your blender lid and cover the empty space with a tall cup instead. Hold the cup down securely when blending. This allows some of the steam to escape and helps prevent the blender lid from popping off. If you don't own a blender or food processor, you can use an immersion blender. Taste the soup, and adjust the seasoning as needed. Serve warm. 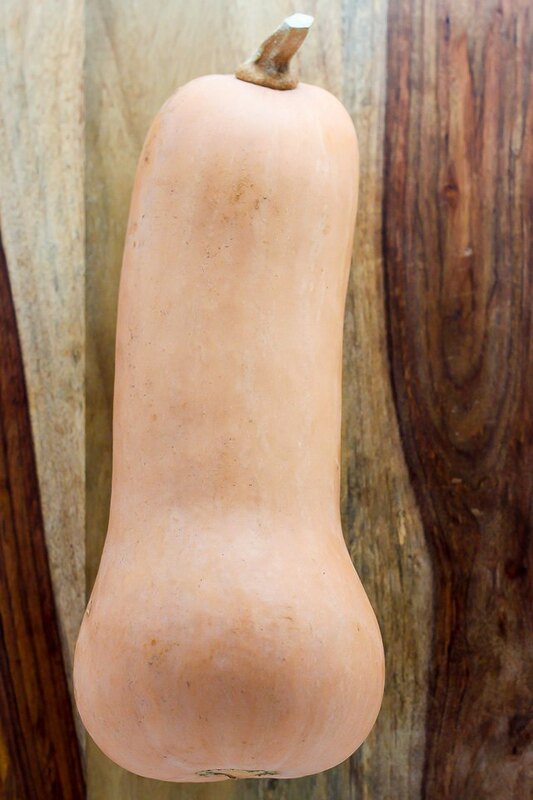 Is Butternut Squash Considered a Starch?